Item # 319773 Stash Points: 11,995 (?) This is the number of points you get in The Zumiez Stash for purchasing this item. Stash points are redeemable for exclusive rewards only available to Zumiez Stash members. To redeem your points check out the rewards catalog on thestash.zumiez.com. 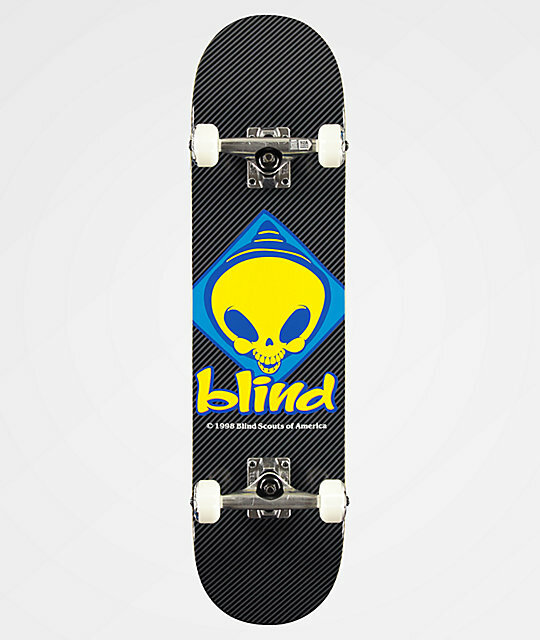 Get a starter board that is ready to ride immediately, with the Blind Retro Reaper Scout 7.75" Skateboard Deck. Tensor trucks keep a stable feel on stalls and hill bombs alike, while the over-all mild concave maintains a predictable feel under foot. 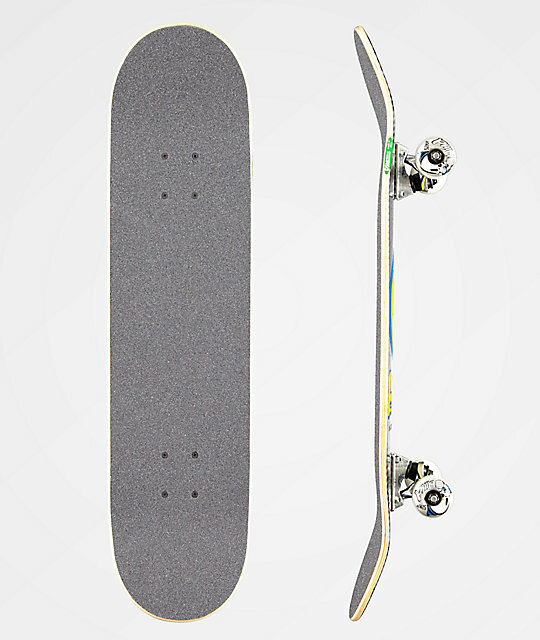 52mm, 92a wheels provide excellent grip and a smooth ride, while still ensuring excellent acceleration. Fully assembled and ready to ride, what are you waiting for? Retro Reaper Scout 7.75" Skateboard Deck From Blind. Perfect for beginners and youth. Slight concave and wheel wells. 52mm 92a Blind brand wheels. Black grip tape applied to top. Note: Comes fully assembled and ready to ride right out of the box!